*Current address, Department of Earth Physics, Institute of Physics, University of St. Petersburg, Uljanovskaja 1, 198504 St. Petersburg, Russia. The hybrid regularization technique developed at the Institute of Mathematics of Potsdam University (IMP) is used to derive microphysical properties such as effective radius, surface-area concentration, and volume concentration, as well as the single-scattering albedo and a mean complex refractive index, from multiwavelength lidar measurements. We present the continuation of investigations of the IMP method. Theoretical studies of the degree of ill-posedness of the underlying model, simulation results with respect to the analysis of the retrieval error of microphysical particle properties from multiwavelength lidar data, and a comparison of results for different numbers of backscatter and extinction coefficients are presented. Our analysis shows that the backscatter operator has a smaller degree of ill-posedness than the operator for extinction. This fact underlines the importance of backscatter data. Moreover, the degree of ill-posedness increases with increasing particle absorption, i.e., depends on the imaginary part of the refractive index and does not depend significantly on the real part. Furthermore, an extensive simulation study was carried out for logarithmic-normal size distributions with different median radii, mode widths, and real and imaginary parts of refractive indices. The errors of the retrieved particle properties obtained from the inversion of three backscatter (355, 532, and 1064 nm) and two extinction (355 and 532 nm) coefficients were compared with the uncertainties for the case of six backscatter (400, 710, 800 nm, additionally) and the same two extinction coefficients. 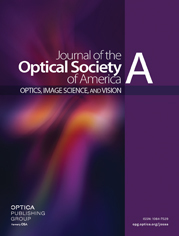 For known complex refractive index and up to 20% normally distributed noise, we found that the retrieval errors for effective radius, surface-area concentration, and volume concentration stay below approximately 15% in both cases. Simulations were also made with unknown complex refractive index. In that case the integrated parameters stay below approximately 30%, and the imaginary part of the refractive index stays below 35% for input noise up to 10% in both cases. In general, the quality of the retrieved aerosol parameters depends strongly on the imaginary part owing to the degree of ill-posedness. It is shown that under certain constraints a minimum data set of three backscatter coefficients and two extinction coefficients is sufficient for a successful inversion. The IMP algorithm was finally tested for a measurement case. a Measurement time was 1823–1922 UTC. b For an explanation, see Appendix A.